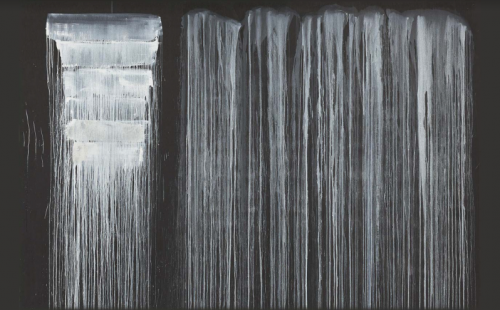 Silent Secret Waterfalls: The Barnes Series, an installation of new paintings by American artist Pat Steir (b. 1940), will be on view at the Barnes Foundation beginning in January 2019. In this first for the Barnes, Steir has been invited to create a series of 11 seven-foot-tall oil-on-canvas paintings that will occupy two walls of the Annenberg Court. Lush and sweeping in scale, these paintings will connect with Steir’s celebrated Waterfall series and revisit the dialogue between intuition and chance that has defined her work since the 1980s, with themes renewed for the present day. Silent Secret Waterfalls: The Barnes Series is the first installation of paintings to be presented in the Annenberg Court.